You’re always looking for positive ways to promote your B2B company. 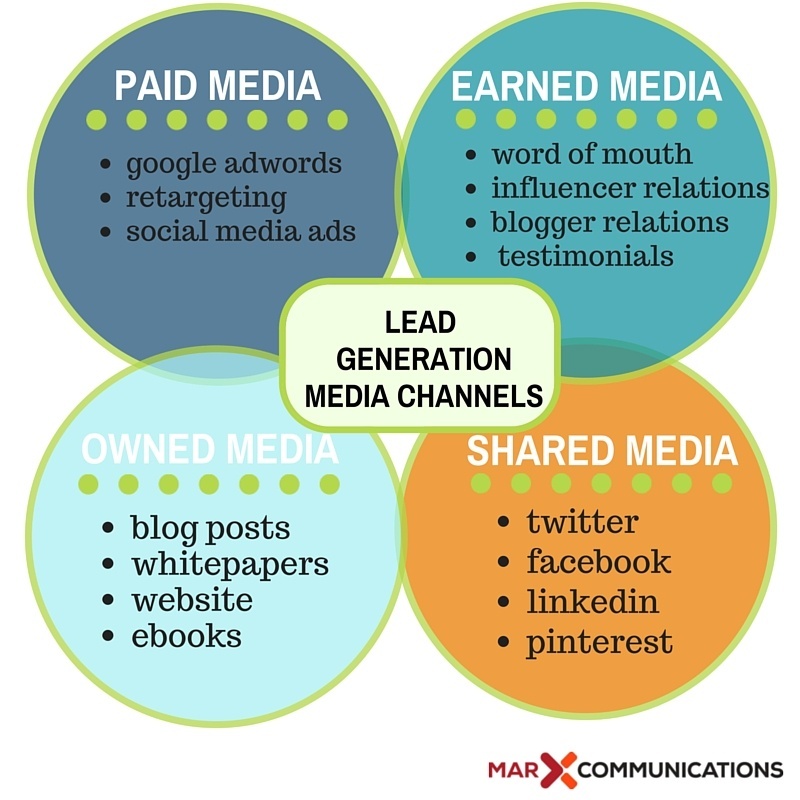 In your search, you’ve likely come across the following terms: earned media, owned media, shared media, and paid media. Whether you realize it or not, chances are you’re using at least one of these top PR strategies. However, if you’re a bit fuzzy on what these terms actually mean, or if you just need a refresher course, read on — it’s coming your way. Publicity gained from word of mouth, online reviews, and blogger, press, and influencer relations. It’s a third-party endorsement of your brand. Blog posts, whitepapers, videos, podcasts, case studies, ebooks, and your website. Postings to social sharing sites, such as Twitter, Facebook, LinkedIn, and Pinterest. This one isn’t too difficult to figure out! However, it has changed over the years. While you might think of paid media as print, TV, or radio advertising, it has evolved into something much more digital and direct. Native advertising, social media campaigns, Google Adwords, and retargeting. We’ll start with earned media because it can be one of the trickiest to master. The reason is that you have less control over this type of media. You can’t simply ask someone to plug your product or service. As the name suggests, you must earn it. How can you do this without sounding, well… sleazy, clingy, desperate? Simply put, you need to to be a friend to get a friend. If you want to get noticed by bloggers who will promote your brand, start by reaching out to those whose work you truly admire. These are the ones that whose email updates make it past your trash file. The ones who get you thinking about your industry and who inspire you. Reach out to these bloggers via social media and leave comments on their posts. Next, join HARO (help a reporter out). This service notifies you when a reporter is looking for an industry expert to quote in a piece. Lastly, make it easy for others to like you by responding graciously on social media sites, leaving positive LinkedIn endorsements for those you’ve collaborated with on projects, and promoting thought leaders on social media. Owned media is your PR paradise. You have complete control over how to create and use each piece of content you create. However, there has to be a method to your madness. Create a purpose for each piece of content. Are you trying to get new leads? Nurture existing leads? Increase brand awareness? Include plenty of visual content, such as videos, images, GIFs, infographics. Mix it up a bit. Write for both search engines and people. When you write a headline, ask yourself if you would click on it. Better yet, ask someone else. Attach analytics to each piece of content in order to gauge interest in the topic you’re promoting. Paid media is the one method many don’t want to acknowledge. Perhaps it’s because they see so many other effective PR methods that are virtually free. However, paid media is equally important. One reason for this is because paid media is a better bet when searching for new buyers that never heard of your brand. Paid social media campaigns for example can reach those who are interested in your industry, not just in your personal brand. These prospects may not be searching for you online, but now Facebook has made them aware of your presence without their ever navigating off the same page they use to communicate with loved ones. Likewise, paying to have your blog posts distributed via native advertising allows your expertise to reach a wide audience. Learn more about how that works in my recent blog post on native advertising. Each PR method can certainly be used as a stand alone product. However, they really shine when combined into a single effort. Let’s take a look at how that might work. Let’s start with a great piece of owned media, say a blog post. In a perfect world, this blog post would attract your best leads and prospects all on its own. However, the truth is that it’s unlikely to be noticed unless you put a little effort into its promotion. Next, you’ll want to promote the post on social, or shared, media. This isn’t a one-time deal, either. Rather, you need to promote the post over the following days, weeks, and even months in order for it to gain decent traction. Once you see that your piece of content has been well-received, you’ll know that you’ve hit a hot topic. You can then begin to promote it using paid media, in the form of Twitter or Facebook campaigns. Carefully gaining traction in this way adds to your credibility as a thought leader in your industry. It’s then that you’ll start to see your earned media come through for you. In addition, one of the best pieces of advice I can give you is to make sure your LinkedIn company page is on par. Once your PR efforts start seeing the light of day, you’ll want to make sure your B2B firm stands out as a reputable and trustworthy place to do business. This article was written by Wendy Marx from Business2Community, it was originally published on the B2B PR Sense Blog, and was legally licensed through the NewsCred publisher network.